Tintin has long played a part in my life, through the large comic-style albums I owned as a child, to the reissued collection I’m halfway through today. In between there’s been the old cartoon series of films and the 2011 motion capture experiment from Steven Spielberg. What grounds my love of Tintin is my own adventure creating a comic in primary school. Called The Giggle, I wrote and drew about half an issue each week with two friends. After collecting a series of A4 sheets of paper, my dad would photocopy them at work and we’d staple then distribute them around school. We didn’t produce many, but they were a labour of love. On leaving the school, and so my tenure as the comic’s sole editor, one of my teachers bought me a copy of Explorers on the Moon as a thank you for giving him The Giggle each week. As soon as I read the story, my fascination with the little Belgian reporter began. The Blue Lotus is the fifth title in the Adventures of Tintin series and follows on from the previous collection, Cigars of the Pharaoh. Many consider the story the best in the canon. Beginning in India, The Blue Lotus follows Tintin as he uncovers a mystery surrounding Shanghai and the opium trade. As the reporter digs deeper, he finds plans running far deeper than drug smuggling and stumbles across some old friends. The beauty of The Blue Lotus is more than a collection of parts, it’s the wider success of the format itself. In taking an already well-worn character and placing him in a tightly plotted adventure with high stakes, sharp drawing, sparse dialogue and clever imagery, Herge created a masterpiece of any type of novel. After writing my reviews, I like to read what others have written about the book and tend to reference one or two comments in my own article. With The Blue Lotus I’ve found it difficult to find good writers talking about the book, leading me to believe this is because it’s a comic or graphic novel. That’s a shame, as the story quality here is no weaker for it being drawn. The themes, plot and characters work just as well as a regular novel and it’s refreshing to read in another format. I hope that books like this begin to get serious recognition as new writers find voices in major literary publications. I find it impossible to stay away from Tintin and, once I start, fruitless to try to put one of Herge’s stories down. 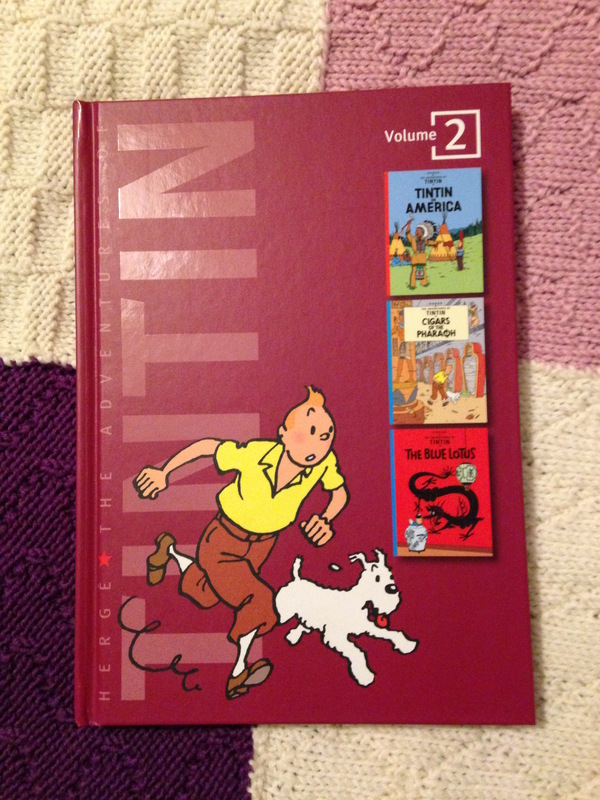 The Blue Lotus is not my favourite Tintin collection, yet the story itself is one of the best. It deals with international themes of war, politics and crime before you realise what you’re reading. It’s not the first Tintin book you should read, but if you do it’s unlikely that it will be your last. The Blue Lotus is one of Le Monde’s 100 Books of the Century. Herge was born in 1907 and is famous around the world for creating Tintin. First published in 1929, The Adventures of Tintin spans 24 titles and has sold over 200 million copies.